On days where you’re busy, a slow cooker can be an absolute life-saver! Personally, I live for my crockpot because generally my family will eat the food that comes out of it. When I bake chicken, or anything for that matter, my family commits mutiny and orders in pizza. So, if you’re looking for something yummy that will please even the most picky palate, I’ve got a recipe for you! Search through these amazing slow cooker chicken recipes for those busy days, lazy days or just regular ol’ days! 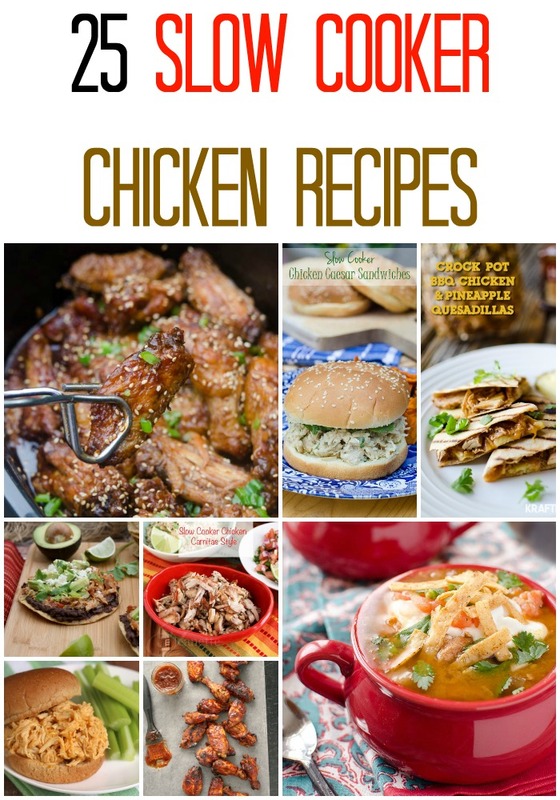 I love chicken, especially when it’s in the slow cooker! Thanks for including my Thai Peanut Chicken Quinoa Bowls! Pinned! I plan on making your recipe, I love everything about the way it sounds! Thank you! !